How Do I Know if I am Getting Ripped Off by my HVAC Company? If you are in the market for a new heating or cooling system for your home, you may be a bit skeptical about which HVAC company to hire to avoid getting ripped off. The HVAC industry may have gotten a bit of a bad rap in recent years due to crooked HVAC representatives taking advantage of a vulnerable situation. Much like with the automotive industry, the mechanic is at a clear advantage over the consumer because the average person is not at all familiar with the inner workings and operations of a motor vehicle. Shady mechanics have been known to exploit these types of situations by recommending unnecessary fixes and replacements. There have been many reports about the same thing happening with HVAC technicians. That is why it is crucial to find an HVAC company you can trust. How do you know if you are being ripped off by your HVAC company? There are several helpful hints and pointers that can help you avoid getting ripped off by an unscrupulous HVAC agent. There are all kinds of tricks and scams sketchy HVAC reps might try to pull on unsuspecting customers. Knowing how to spot these scams can save you a lot of time and money. The best way to avoid getting scammed is to educate yourself. 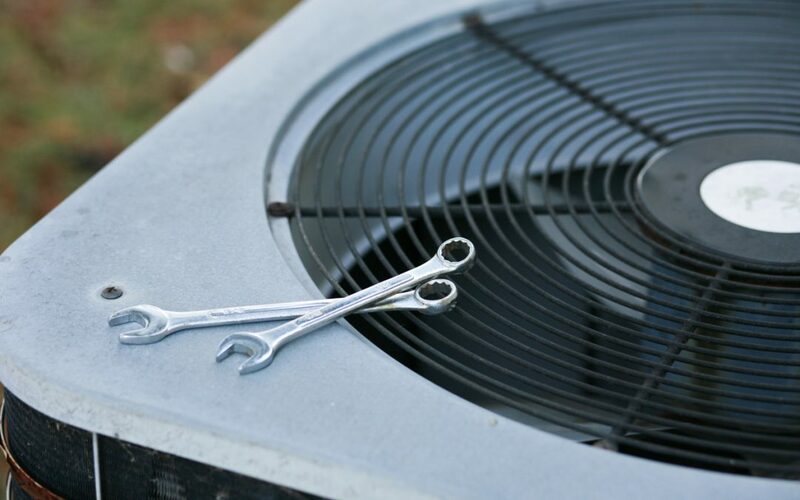 Familiarize yourself with basic HVAC terms and operations. The more you show you know, the less likely it is that someone will try to take advantage of you. Also, it is a good idea to do some research on the HVAC company itself before contacting them. If your HVAC company is constantly coming to your house for tune ups, repairs, and replacements, it is a pretty good sign that you are dealing with a dishonest or incompetent company. Either way, it’s time for a change. Any authentic and reliable HVAC provider should have absolutely no issue providing you with their licensing and bonding information. Do not deal with any HVAC rep with no visible qualifications. Do some research about how much experience the HVAC company has before hiring them. The way a company presents itself is also a dead giveaway. A company with no website is probably not legitimate. If an HVAC rep shows up at your house in street clothes, in their own vehicle that is also not a good sign. HVAC reps should have company issued uniforms and vehicles. If you live in the GTA, or anywhere in Ontario, then Air In Motion is an excellent solution for all your HVAC needs. All HVAC technicians at Air In Motion are fully licenced and highly experienced to take care of any problems you may have with your heating or cooling systems.